So, what is the best way to make money online from home? I will be addressing this question in detail and even give you a step by step method upon which anyone can use to earn a great online income. The nice thing about this is that it doesn’t really have to be from home, it can actually be from anywhere there is an internet connection. Which means you can literally make money while drinking coffee at Starbucks, for example. Another great thing is that you can make money online from home even while you are working a full time job to bring in extra cash. In fact, when I started my online business, I mainly used my lunch break at work as well as any extra time I could avail to myself, without jeopardizing my job. I simply focused on this as a business and not a hobby. Making money online from home is really not as hard as it seems. The main problem is that we are constantly bombarded by the next “latest and greatest” product or service distracting us and promising us a shortcut method to earning our share of the 3.75 BILLION people online as of 2018 (this is your audience). These people are searching for things all the time and the secret to making money online is to provide information to those people and then recommending products or services that are relevant to the information they are already searching for. With all the great technology available to us today, such as hand held devices and easy access to the internet, we have a huge amount of opportunity in front of us. This leads us to the answer to the original question. The best way to make money online from home is to provide the information that people are already searching for. This allows us to not have to sell anything, but simply provide information and recommended products and services that are relevant to what people are already interested in. This can be accomplished through affiliate marketing. 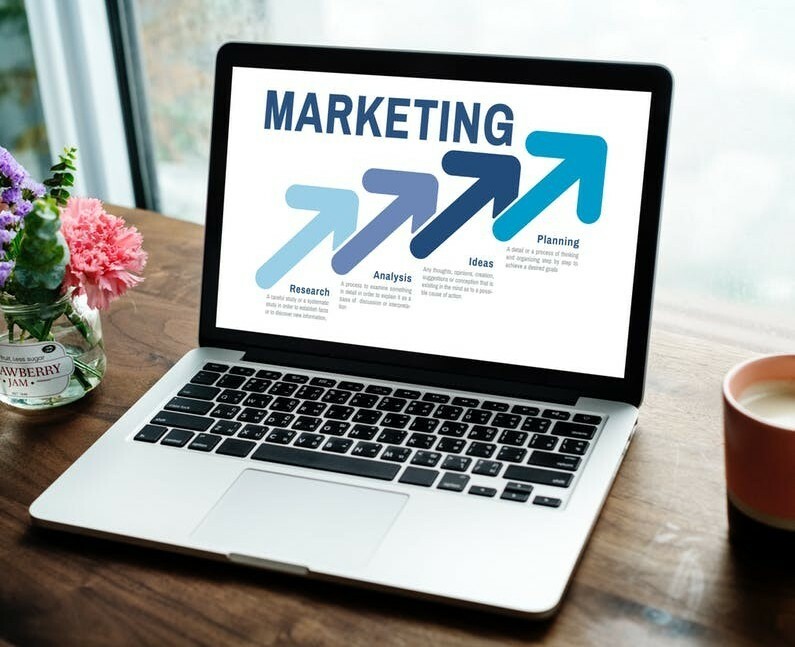 You may have heard of affiliate marketing and you may be thinking that it is not a method you would be interested in pursuing because you have heard negative things about it. But, keep in mind there is a lot of misinformation out on the internet regarding affiliate marketing and I would like to clear any misconceptions you may have. I can tell you from experience that affiliate marketing is indeed the best, easiest and most efficient way to make money online from home. 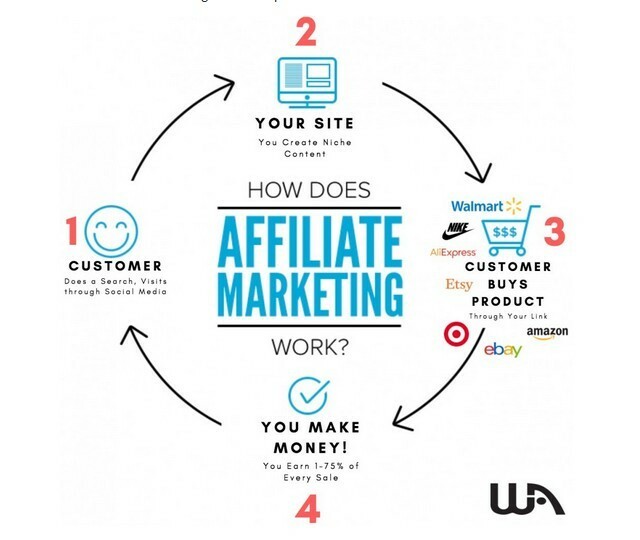 Simply put affiliate marketing is one of the types of performance-based marketing where a business, such as Amazon or Walmart (and a host of others) rewards or pays one or more affiliates for each visitor or customer brought by the affiliate’s own marketing efforts. The merchant is also known as the retailer or the brand. For example, on one of my websites, I recommend and review products in the fitness watch industry. In this case the brand of the fitness watch, such as The Apple Watch Series 4 from Apple. In this case Apple is the merchant. The merchant is the supplier or producer of the product or service being sold. The affiliate network is the component or one who provides the offers to choose from and also takes care of the payments. There are many affiliate networks to choose from. One of the largest affiliate networks is Amazon. Today Amazon US sells more than 600 million products! And a host of others. This, of course, is not an all-inclusive list. These are just a small list of the more popular networks. In short, the affiliate is YOU. You join an affiliate network who provides you with an affiliate link, which you promote to earn income. I want to emphasize one important point in this space. Becoming an affiliate for an affiliate network is, in most cases FREE. It is very rare that an affiliate network would charge any type of fee. So, be careful. If someone or company wants to charge you, it is possibly a scam. I would recommend staying away from any type of affiliate network that charges money. It is simply not necessary to pay to become an affiliate. Last but certainly not least, is the customer. This is how we all get paid! More and more people are shopping online these days and this allows more and more opportunities for the affiliate marketer. Plain and simple. Now the affiliate marketing industry has grown in complexity, resulting in the emergence of a secondary network of players, that include management agencies, third party vendors and super-affiliate programs that offer products and services specifically for the affiliate marketer. These networks, of course, charge money so one has to be careful of potential scams. I am not saying they are all scams, just that one has to be careful and do their due diligence when looking at these types of programs and networks. Why Affiliate Marketing Is The Best Way To Make Money Online From Home? 96% of Americans shop online. This is HUGE and we should all realize the importance of this figure when choosing the best way to earn make money online from home. This is why affiliate marketing rocks. Because more and more people are feeling comfortable purchasing online and when they make a purchase, they are typically purchasing from affiliate marketers. This is simply a fact! already know, like and trust. adds value and trust to you as an affiliate. This is why it is so important to have your own niche website. It adds value and trust. We will get into the details in the next section on what it takes to own your own website and build a big following. No worries, this is not hard nor complicated and anyone can do it as long as you have the desire and are willing to put forth the effort. As mentioned before, there is a lot of misinformation out there about how affiliate marketing actually works. It is really not as complicated as it may seem and I would like to point you into the right direction and simplify it for you. 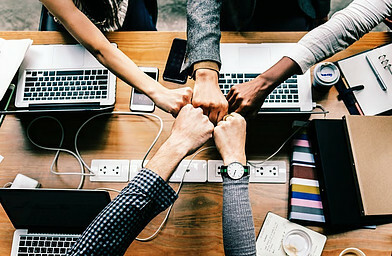 When you become an affiliate, you simply join an affiliate network that gives you a unique “affiliate link” to a product or a service which gives you the opportunity to earn a commission by sending someone to the product website and they make a purchase. In some cases, affiliate networks will even pay you to simply get a name, email and other information without them even making a purchase. This is known as CPA or Cost Per Action. They pay you to get the prospect to complete an action like providing an email, phone number, or in some cases an address. Different affiliate networks offer different levels of commission. You can make anywhere between 4% up to 80%. Take a look at the screen shot below to get an idea of the process visually. So, basically the process in its simplest form would be a potential customer does a search on the internet or clicks a link on one of your social media accounts (#1). This leads them to an article on your website in a specific niche (#2). They read your article and in your article you recommend a product that solves a problem that they were originally searching for. They click on your affiliate link and purchase the product (#3). Then the exciting step 4 happens. YOU MAKE MONEY! MILLION (yes, million) products to choose from. It is truly amazing when you consider the size of the opportunity you have in front of you. Or anyone for that matter. a simple email through your provided affiliate link, say a fitness watch, you can potentially earn about 5% commission for that fitness watch. If it was an Apple Watch Series 4, for example for about $600, you would get paid $30. This might not sound like a lot of money, but consider how many people are purchasing these products each and every day. To give you an idea, 18 million Series 3 Smartwatches were shipped only a few months after its September 2017 release. That is a big piece of the pie that one has available to them through affiliate marketing. What if you sold 10 Apple Watch Series 4 watches a day (certainly possible if your review was ranked on the first page of Google)? That would be $300 a day. Not a bad income for simply putting in the effort. So, you may be wondering how you can get started making money online from home. 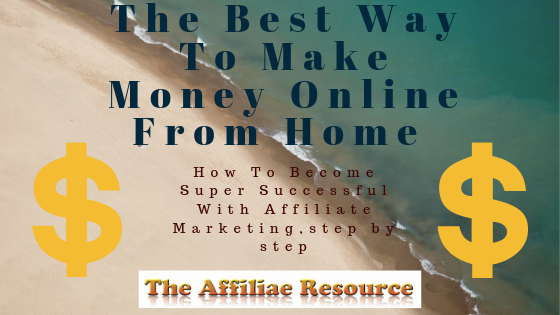 As I mentioned the best way to make money online from home is through affiliate marketing, and as mentioned before, there is a lot of misinformation concerning affiliate marketing on the internet. 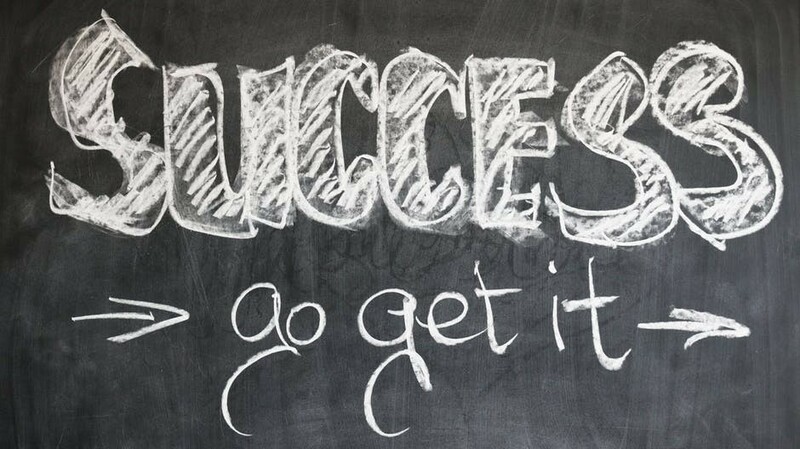 So, where do you go to learn the skills necessary to be a successful affiliate marketer? There is an awesome training platform that has taught me how to earn a good income through affiliate marketing. They offer an awesome platform that has all the tools necessary to succeed online as well as coaching and mentoring. Imagine having a personal coach to help you every step of the way. This training platform is known as the Wealthy Affiliate University. You can read all about this platform on my Wealthy Affiliate review here.